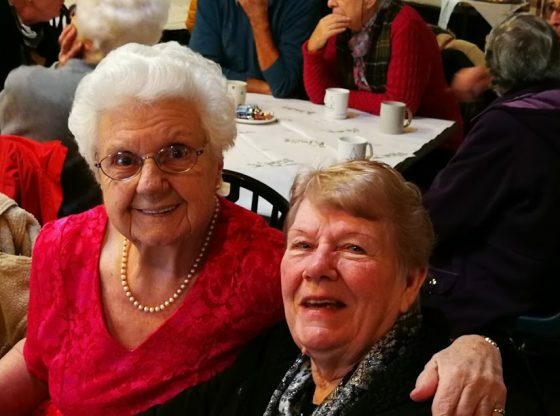 For the second consecutive year, Elastic FM treated local elderly people to some Christmas Cheer. Some of our wise and elderly local people were treated to an afternoon of food, fun and entertainment. Each guest went way with a gift, kindly provided by Chesterfield Shoebox Appeal. Organizer of the event, Elastic FM Chairman David Lilley explained the motivation behind the event. Clowne Cricket Club was the chosen venue. Local entertainer Rachel Egley sang a few seasonal songs and talented local organist Mick Drew played back some seasonal music. Volunteers on the day included Marion Lilley, Bob Lilley, Sarah Lilley and Adrian Wilkinson.